Andre Jenkins may have graduated college, but his new classroom is on the road. Though he received his Bachelor's degree in accounting in May 2015, his first class in touring came only a few months later after he volunteered to help with the One Music Festival in Atlanta. Jenkins went from cap and gowns to walking Lauryn Hill to the stage in less time than it takes to finish a semester in college. 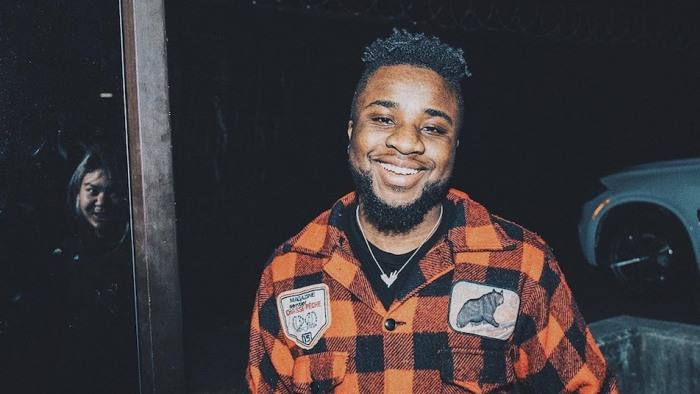 Now, he's the tour manager for rising artist MadeinTYO as they plan his international 'Sincerely, Tokyo' trek. 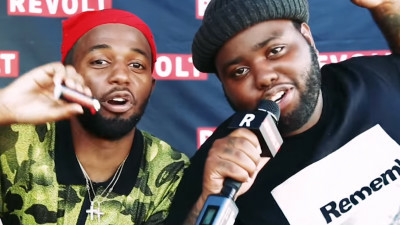 For this installment of Tour Tales, Jenkins details why MadeinTYO performed during a lightning warning, how the young artist balances being on the road with raising a son, and how an app can change the entire way artists tour. How did you become MadeinTYO's road manager? It was organic because I was working with his brother 24 HRS. I was doing his merchandise this time last year. I kind of worked my way up doing that. 24 and Tokyo be having overlapping dates sometimes when they do shows together and stuff like that, so I kind of started working with Tokyo indirectly like that. Then when he did his True's World pop-up, I was doing his merch there. I just stayed close to the team until eventually Tokyo needed more help on the road, and I got asked to TM [tour manage] him. Before you handled a single tour for MadeinTYO, you worked on a huge music festival in Atlanta, One Music Fest 2015. What did you learn from that experience? I met Lauryn Hill. I met her. We took the whole picture and everything. But what was cooler to me was I was one of the people that was able to walk talent to stage. So I was able to do that for multiple artists. That was a crazy experience, because it was organic. I'm meeting their team. I'm seeing how many people are on their team. What does each person do. I'm getting this information of what you say to the artist, how you meet them, how they come to the venue. All of those things. I didn't know that this is how it goes. What are some technical things that you learned that are second nature to you now? 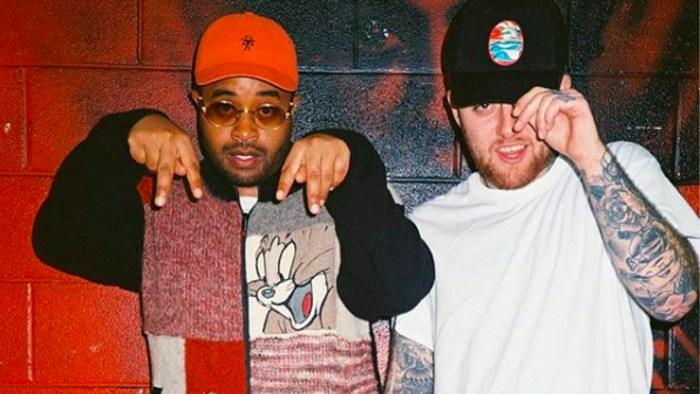 What's been the most memorable performance for you working with MadeinTYO? We did a show at North Coast Music Festival. We headlined the Lyrical Lemonade stage. It's crazy because they cut our set because there was lightning. So they cut our set, but it's for Lyrical Lemonade, so it's Cole Bennett and all of them. Cole was like, 'I know they're shutting us down. Why don't you just keep performing a cappella?' Tokyo told the crowd, 'I came here for my fans. I came all the way to Chicago. I don't want to leave because of lightning.' He performed one last song, a cappella, no music. The venue was like, 'Yo, we got to clear the area.' But his true fans were in the front, still turning up, singing the lyrics with him. There was no sound coming from the mic. It was just a dope moment. How has your accounting degree affected how you operate as a tour manager? I feel like with tour managing, a lot of it is used on the road. He purchases things, buys things for the team, and it's on his card. I'm like taking pictures of the receipts, breaking down who bought what, what they bought it for. I'm breaking down what our Uber is for, and then I send it to his business management. So, they put a budget of how much he spent during that trip versus how much he made, to get a gross amount. He has his total amount that he'll make from the show, then everyone knows how much they'll make from the show. So, I work with management to get that done, just based on their initial budget of 'this is how much the flights cost, this is how much the hotels cost.' Sometimes the promoter pays for the hotels or the ground transportation. So, just accounting for everything, and then putting those in sheets and budgeting that out. I think that's how I'm able to do the accounting right now. That's crazy, because I never thought that I would be doing that. On Instagram, you said being on the road allowed you to see behind the scenes of the many sacrifices that went into making Sincerely, Tokyo. Did he record the album while touring? How much of the new 'Sincerely, Tokyo' world tour is already planned out? I feel like every day it's becoming something new. We get a new excitement, like, 'Yo, in this city we're going to try to bring out this person or, yo, we're going to try to link with this press and have them come to our show.' He has some international dates. He does London, so we're trying to lock those press people in. So I feel like it is going to be a lot more of those conversations happening now. 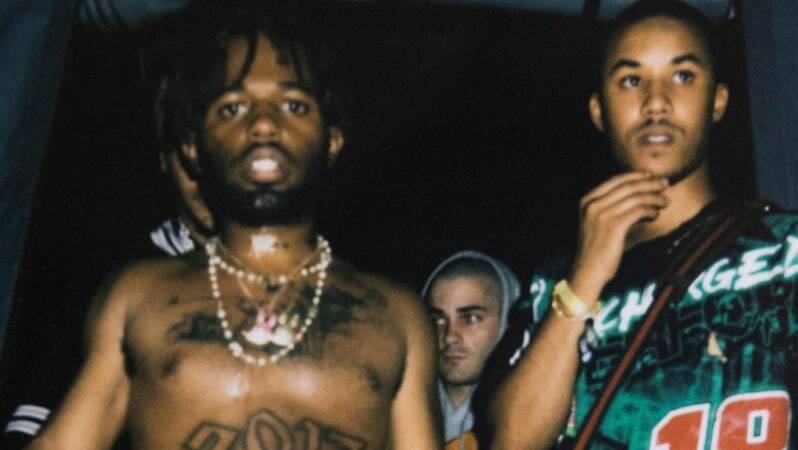 What is MadeinTYO like on the tour bus? What's it like being around him? I think Tokyo is like one of the nicest people you can meet. He's very selfless. He spends all that time doing shows, putting in the work to make music, release music, make music videos, make appearances, the club shows, and then he's still being a father. I'm an eligible bachelor in L.A., and I'm seeing my homie who's also balancing being more famous and he's raising his son. I think that's really dope. He might be dead tired, then he gets on FaceTime with his son and he has this newfound energy. He just pushes through. The biggest thing working with Tokyo is seeing his drive. We've can be working 10, 12 hours. Then he gets on FaceTime with his son for 20, 30 minutes, and he's ready for another 12 hours. What's on Tokyo's rider? Have you seen any interesting riders throughout your time on the road with artists? Tokyo's rider is Fiji Water, tea, Natural Valley fruit snacks. We try to get him some chips, like Hot Cheetos or Doritos. Making sure he has drinks like orange juice, apple juice, cranberry juice, Sprite, Coke, something like that. We typically give him Henny. One or two Hennessy bottles. Also some fruit sometimes. Some cantaloupe, pineapples, strawberries, just a general fruit tray. One of the biggest things I always add is an iPhone charger, because we're always running, we're always moving around. Our chargers be in a million different places, might be in our old pants from three days ago. When I graduated and I moved to L.A. in January 2016, I did a tour with Kid Ink and Dizzy Wright in Spring of 2017. I was tour managing Dizzy Wright. It was my first big break. It was a Europe tour. We did eight weeks in Europe, 24 shows. That was the craziest thing for me, because I had just moved to L.A., still trying to figure it out. When we did the tour, I was doing Dizzy's rider, and he would have Backwoods and all of these smoker essentials. It blew my mind because he had everything a stoner would. He was like, 'I need Raw cones. Tell them I need at least 5-10 Raw cones on the rider. Make sure they have orange slices. Make sure they have Backwoods, and a set of lighters. We may need lighters for other shows' [laughs]. We're in Europe, so it's acceptable. No matter where we go in the world, they're going to have an 1/8th of weed in the venue waiting for us, the venue was providing it. That was crazy. You can ask for almost anything. 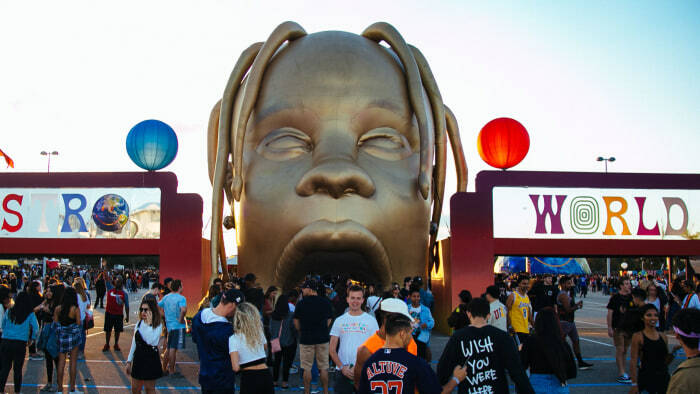 According to a Citigroup report, artists only made 12-percent of the $43 billion in revenue that the music industry earned in 2017, with most of the artists' earnings coming from live performances. Do you think this could lead to artists performing less shows if they make more money from touring? I think, right now, I don't see artists making more money off their music, because of the way streaming is set up. Since streaming is so new everyone is trying to figure out how to provide better incentives. Now, Spotify is recognizing producers and you have song credit, so everyone is getting their credit. Maybe Apple Music will do a whole campaign and pay the artists that way with a lot of upfront money. But I feel like right now live shows are that direct-to-fan experience. Say I set a price of what it takes to come see me, do a meet-and-greet, [the fans] can come pay. People just want to engage with the artists. We like artists' music but we also want to meet them. That won't go away. When an artist is blowing up, and all you have is that tape, and this show is the first time you can actually meet or see them, you're like, 'Yo, I'm going to spend $25 to meet them. I'm going to spend $60 to meet them, and take a picture, and post it on the 'Gram and tell everyone I met that person.' With streaming, we just pick up our phone, we download music, and we play it. But, how things get counted is different, so the way we make money is different, because now music is free. Before, we were going to iTunes and every record is 99 cents and instead of streaming it, you're literally buying that record, so the artist is getting paid. Now, it's like you get 10 cents a stream? So you need millions and millions and millions and millions of plays to really get the money back. So, there's these shows where you can just make thousands and thousands of dollars doing three songs at a club, doing a 30-minute set in some place. You're going to make so much money because you're getting profit from the ticket sales. These tickets sales are higher than our streaming numbers. I think the streaming platforms are working on it, it just hasn't happened yet. What are some things that have made touring easier? What are something you wish could change about touring? One thing that I like, that is still being approved on, that not everyone is well-versed in, is this thing called Master Tours. There's this app where basically we streamline the tours; you could say where you're going, where the stops are, what should we do, what's the city in between that we should stop by and what is the restaurant around there. But not everyone is on that software. I wish that for every tour manager, there should be a standard thing you had to go through. If you're an artist, you're streaming music, you know you're going to put [it] on Tidal, Apple, Spotify, and you'll branch off from there, right? With touring, everyone kind of uses their own thing. Everyone has their own way being a tour manager. I feel like when I went on that tour with Dizzy Wright and Kid Ink, we were using a Master Tour, and that was the easiest tour because everything is on the app. It's already preloaded, it has all the information, and everyone can just get on it and see everything. Not every tour manager is using that software. So it's like we all have our different languages.